The modern payslip has evolved. 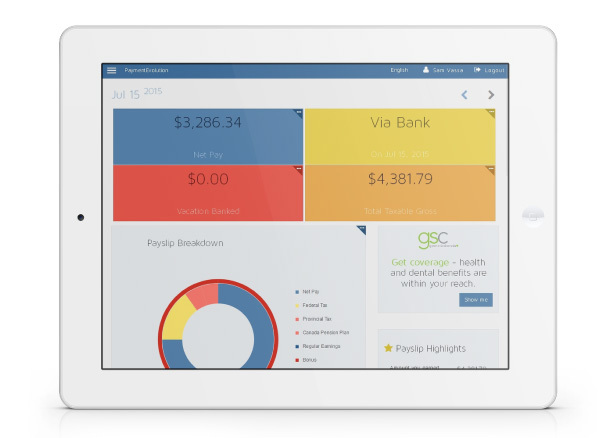 Your staff want to access their pay information from anywhere - tablets, mobile devices, at the office and beyond. PayChequer is their tool to see their full pay history, tax information and more. It's included for free with all PaymentEvolution Payroll plans. Staff can now easily access their own information securely. 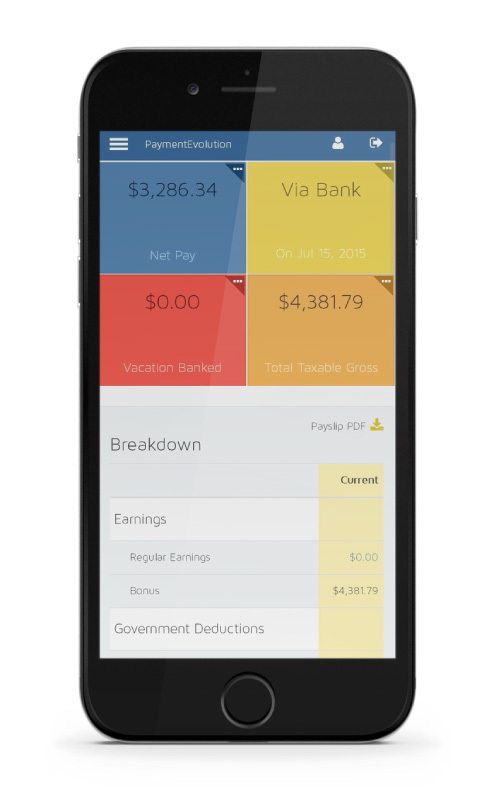 They can view their vacation balance, deductions and even their tax slips (T4 / RL-1). Employees can update their own address information and manage their own access to their pay history. No more lost paper slips - your staff and contractors can access their history online and print their own if needed.